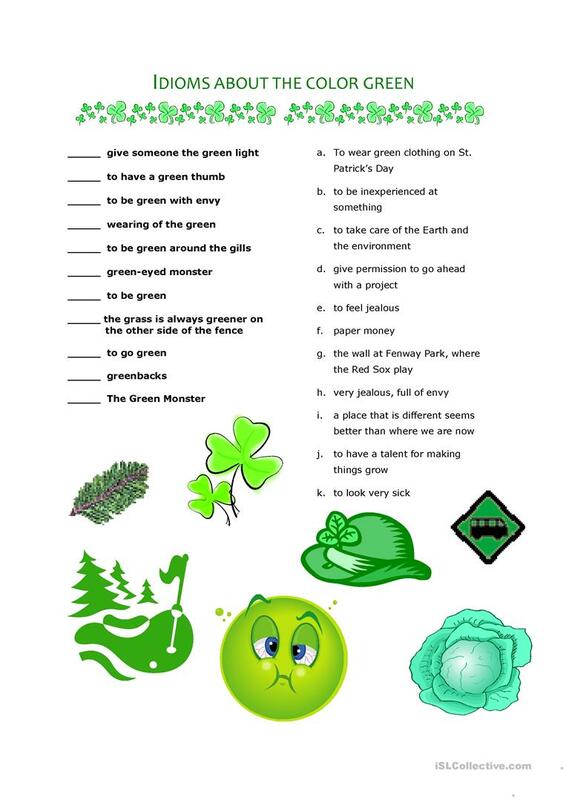 Idioms using the word 'green.' Perfect for St. Patrick's Day! The present downloadable teaching material is best suited for business/professional students, high school students, elementary school students and adults at Elementary (A1), Pre-intermediate (A2), Intermediate (B1), Upper-intermediate (B2), Advanced (C1) and Proficient (C2) level. 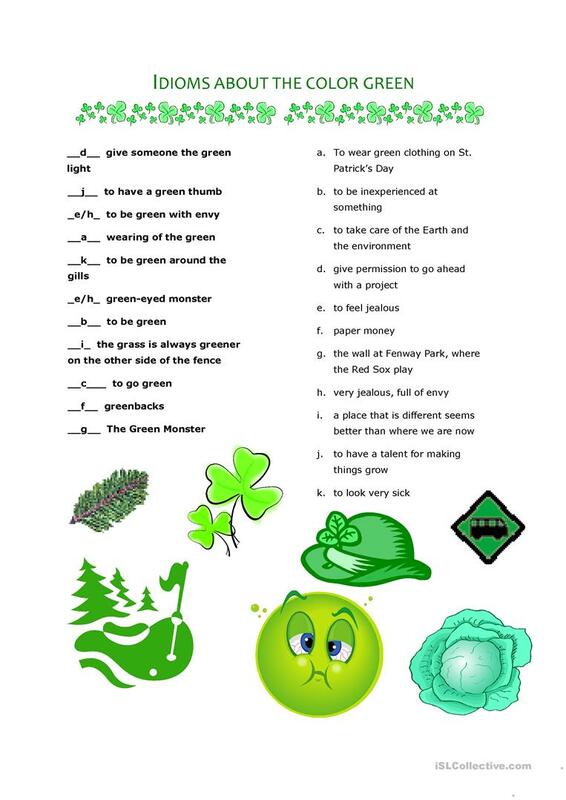 It is a valuable material for enhancing your learners' Reading skills. The answer key is provided, too.